what does ‘cloud’ stand for? microsoft azure: whatever that platform is good for, is actually anybody using this? as the trend in hardware design is going towards multicore along with NUMA it seems the cloud is undergoing similar changes. as a rule of thumb i’d say that ‘cloud computing can be seen as an approach to build a distributed operating system‘. not too long ago you would have maintained your own infrastructure with access to the hardware and software used. but times have changed and the americanization of things, that is by building ‘super services’, is about to change the internet yet again. this is probably the strongest argument against using third party proprietary services as you can’t fix it when it is broken. but cloud computing usually means a loss of privacy as well. the article  mentioning various points from richard stallman and larry ellison probably makes this point clear. it is interesting to see this SaaS wikipedia article  which reads like a campaign for SaaS – probably written by someone with a marketing background. there is the dangers to loose your data to foreign countries, as mentioned in . you don’t have your own infrastructure anymore, thus you don’t have physical control over your devices. additionally you then depend on working internet connections. it is likely that the infrastructure you rely on runs in one or several different countries. 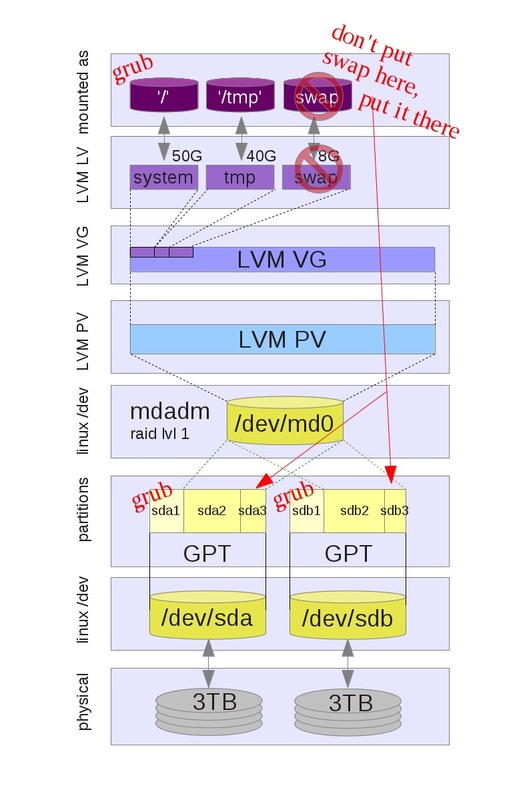 the various versions of the GPL had a great influence on how software could be used and distributed but with the advent of the cloud this changes drastically. the way programs, especially webservices, are designed makes the GPL concept useless as it does not affect you at all. however, there is a new license, the ‘Affero General Public License’  which fills that gap. why is wordpress is not licensed AGPL i wonder? my first guess is laziness as every author of every single patch would have to be asked for license change persmission. but the wordpress hosters could be using the GPL to greenwash their software as they would not have to hand out proprietary extension which might not be released. but who knows?! think about email – who operates his own mailserver nowadays? most friends of mine use google mail and this implies: once you are familiar with a service and its workflow you usually do not want to change. especially if the service seems to be free as in google mail for example (but most of my friends seem not to care that google replaced ‘currency’ by ‘privacy’ which is used as payment instead). as a consequence the knowledge about how to run your own mail server gets lost. if you understand german, listen to alternativlos 18 – ‘Peak Oil, den Weltuntergang, und wie man sich vorbereiten kann’  minute 74 ff – they discuss this issue. i have a strong tendency to use devices which are capable of bringing me certain services offline. this is why i put a lot of effort into the evopedia application for instance. the nokia n900 is probably another good example where i try to maintain an offline infrastructure – i didn’t even have mobile internet on the n900 for a complete year and yet i was able to do most things using sip/mappero/evopedia and others. of course i could host wordpress on my own webserver and i wanted to do that for a long time. the problem is that wordpress is optimized to be run on wordpress.com thus i think it might be too much work for me to support it with proper security updates and plugin management. instead i search for a blog system which uses markdown in combination to git but i didn’t find yet what i am searching for. don’t get me wrong, i really like wordpress but i don’t like this dependency and lack of flexibility using their software. i really love ‘google docs’ as it is a wonderful collaborative platform but i can’t use it as i have to disclose all documents to google i’d be working on. like google mail and google docs, android has a very good cloud integration. but if you want to use services other than google’s, it is a horrible platform. for instance i keep installing xabber  although google uses jabber but intentionally made you require to install third party software in order to use non google jabber. same goes for most other services. if i had to use an android phone i would buy one with proper CyanogenMod  support. 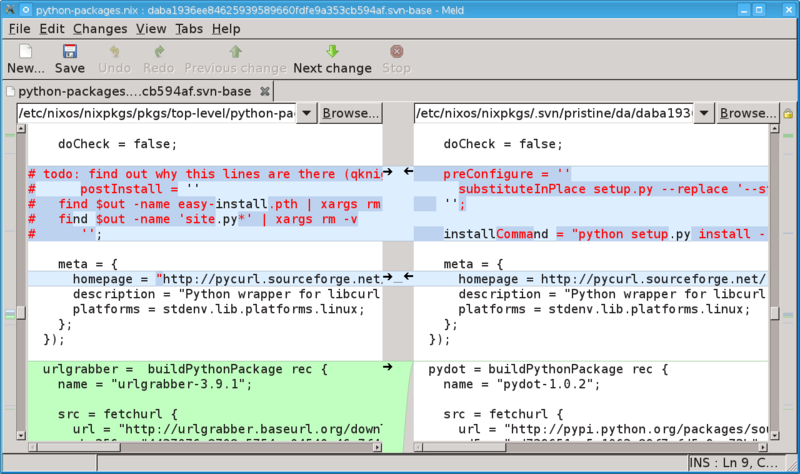 great service for source code hosting using git. still the platform itself is not available like for http://gitorious.org/ or http://gitlabhq.com/. github.com uses a wiki which is bound to the platform and not contained in the git repo. i use github.com only for free and open source projects. the conventional use of the term ‘cloud’ simply indicates a buzzword or business term for vendor lock-in and centralized infrastructure you don’t have control of. that is good to know as it helps to recognize and avoid such services. what one should use instead is decentralized infrastructure located near the user, connected to the internet where needed, giving the user the control over the platform. arguably this concept is implemented as a new trend called ‘personal cloud‘ or ‘private cloud server‘. but these terms are limiting the trend to personal or private matters, yet i would like to see it in businesses as well. following the concept of decentralization users can host their own files and other things as address books / calenders on their own home devices. sheevaplug  – there is even a nixos version for this device (by viric)! sparkleshare  – is a collaboration and sharing tool that is designed to keep things simple and to stay out of your way. still most ‘personal or private clouds’ scale differently compared to the big 3 mentioned in the beginning of this article. for instance, most of these services are configured in the client/server way and they usually do not implement concepts as failover, backups or load balancing. for that to happen it requires a new set of tools and decentralized frameworks based on p2p technologies – which has just not happened yet. there is also a political issue: most internet users do not have a decent upload channel, which basically means that their internet connection is not very good. openstack  – is a global collaboration of developers and cloud computing technologists producing the ubiquitous open source cloud computing platform for public and private clouds. disnix  – is a distributed deployment extension for Nix, a purely functional package manager. i’ve used neither but i like to point out that there is ongoing open source involvement and interestingly non of these technologies are used in private clouds. private clouds seem to implement the classical client/server paradigm at the moment. there is a remarkable exception, that is filesharing using p2p/kademlia which implements a basically read only storage which scales pretty well already. i think each requirement on its own is already implemented somewhere but not in combination to each. there is not yet a library providing the software/protocol requirements and the hardware is either not powerful enough or is not intended to be used in that way required. still it is a long way for the private clouds to have the same level of features/quality as the big clouds already have. for the time being it seems to be complicated for the average internet user to use the internet without loosing too much of his individuality, thus the freedom of expression. but altough this seems to be a default on mac os x and maybe on windows vista+ (not sure for windows) it never worked on linux. this was probably caused by the fact: that i tried to use a bridge at first and wlan does not go well together with ethernet (kernel related limitiation; maybe MTU settings?). i can’t remember why bonding failed last time i tried it (2years ago?) – maybe because of the used linux drivers? o Detach support added on 2000/10/02 by Willy Tarreau (willy at meta-x.org). (ctindel at ieee dot org). Interface 'wlan0': flags set to 1002. Master 'bond0': hardware address set to 00:23:7d:00:ff:fe. Slave 'wlan0': MTU set to 1500.
anyway, to see this working at least is a good thing! you have an old-style or corrupt manifest `/nix/var/nix/manifests/nixos-unstable nixos-d8b23fa7b687df69ca99c50a659cb9b7.nixmanifest'; please delete it at /nix/store/gq4mqkg155jbpdzs44s6nc6ys1q3aqmh-nix-1.0pre2614_005d1e4/lib/perl5/site_perl/5.14.2/x86_64-linux-thread-multi/Nix/Manifest.pm line 346.
cannot pull cache manifest from `http://nixos.org/releases/nixos/channels/nixos-unstable' at /var/run/current-system/sw/bin/nix-channel line 88.
i don’t know why it stopped working. maybe i did checkout the wrong channel by mistake? but maybe someone else might find himself in the same situation and this posting might help to get things going quickly. a short ‘guide’ on how to use meld for merges in svn. workflow: what ~/.meld does is to give you MINE and THEIRS for merging into MINE (MINE is the left side document). after the merge it would copy the modified MINE over MERGED. and once the conflict is marked ‘resolved‘ all the different files will vanish and leave a working set of files. for quite some time i use a wiki at lastlog.de, a mediawiki to be precise, and i wonder why there is no wide adaptation towards the wiki principle. with that i don’t mean collaborative editing but, somehow in contrast, the principle to be quotable. lately, out of curiosity, i scrolled through my diploma thesis and checked the overall link stability. some were broken. however, all wikipedia links worked. as stated in the document itself, i explicitly link to the wikipedia because of its link stability. if i would have liked i could have even linked to a certain revision. but i decided not to, as the reader always has the option to look at an older revision, based on date and time. the more interesting aspect, that is why i linked to wikipedia articles, is that i don’t want to waste time describing something when there is a different place doing so already. if someone is smart enough to follow my ideas in my diploma thesis i assume the same when it comes to judging about the quality of wikipedia articles. and before linking a keyword (like ‘package manager’) to a certain wikipedia article, which should describe it, i always read the article. the idea is twofold: first i like to see if my conception or understanding matches with what is in the article. second, if that is the case, i would simply link it and forget about the whole thing. but if my understanding does not match with the article i can evaluate my or their version as being better and pick what fits best. for some online articles i had to link, i wasn’t even able to provide a direct link and therefore added a google search link into the document. wiki editing has so many benefits, like being able to rollback to a previous version. do collaborative work. 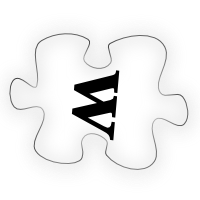 why is there no wiki like support, say when editing libre office/word documents? maybe because back in time that was considered a waste of bits&bytes but using compression that can’t be an argument today. here is a use-case where that would be great: say you write a document and you pass it to someone else for review and corrections. often i would like the other person doing whatever change he wants to do and later be able to rollback this or that change. with a wiki like document structure this would be very easy. and about link stability: this link might even work when this blog is long gone. i see so many benefits by using wikis and wiki like concepts but despite of the wiki-web principle and decentralized VCSs there seems to be no wide use of it. IMHO i think a webpage, even this wordpress blog, which does not implement a wiki principle, is kind of stupid as one can never be certain what is going on. one could say such a page is schizophrenic to some degree. update: 11.5.2012 – it would be desirable if the mentioned link stability would be independent of a strict TLD (top level domain). for example: if i move this blog to a different location, say to invalidmagic.de then all the articles here stop working and the links from other pages into this article will fail. i recently upgraded my hetzner root server and therefore had a system with 2x3tb disks. as fdisk can’t be used to partition disks > 2tb i had to use gpt instead which was quite tricky until it was working. so here is my installation guide. parts of it applies also to other distributions. this guide uses concepts from the hetzner wiki OpenBSD installation guide . update: 26.5.2012: updated the image according to the swap comment from nbp. swap should not be in the lvm as it might degrade the performance. 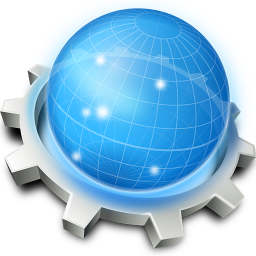 update 26.5.2012: also add the swap partition here (not done below!). note: in contrast to original article  i use ‘-enable-kvm’ which speeds things up! /nix/store/iaypdz5mm1qk8izs9412cb28v9vwwcn4-grub-1.99/sbin/grub-probe: error: no such disk. Auto-detection of a filesystem of /dev/mapper/myVolGrp-system failed. grub-probe: info: Cannot stat `/dev/disk/by-id/scsi-35000c5003f556643', skipping. grub-probe: info: Cannot stat `/dev/disk/by-id/scsi-35000c5003f5363a6', skipping. grub-probe: info: changing current directory to /dev. grub-probe: info: changing current directory to pts. grub-probe: info: changing current directory to shm. grub-probe: info: changing current directory to myVolGrp. grub-probe: info: changing current directory to md. grub-probe: info: changing current directory to disk. grub-probe: info: changing current directory to by-label. grub-probe: info: changing current directory to by-uuid. grub-probe: info: changing current directory to by-partlabel. grub-probe: info: changing current directory to by-partuuid. grub-probe: info: changing current directory to by-path. grub-probe: info: changing current directory to by-id. grub-probe: info: changing current directory to snd. grub-probe: info: changing current directory to mapper. grub-probe: error: no such disk. so what is inside this device.map anyway? took quite some time to figure all this out so i guess someone else might have interested in this guide as well. i also tried to install, using EFI, but soon discovered that this might be a very complicated road to go and therefore skipped that. it is cool to see that there is a very helpful community surrounding key projects required to get this installation done. i would have had to spend much more time if i wouldn’t have had someone to ask from time to time. # on the virtual console 8 (Alt+F8). "af_packet" "snd_pcm_oss" "snd_mixer_oss" "rtc_cmos" "rtc_core" "rtc_lib" "snd_hda_codec_via" "i915" "joydev" "drm_kms_helper" "snd_hda_intel" "rng_core" "drm" "snd_hda_codec" "thermal" "i2c_algo_bit" "button" "snd_hwdep" "intel_agp" "psmouse" "i2c_i801" "evdev" "snd_pcm" "video" "agpgart" "pcspkr" "serio_raw" "iTCO_wdt" "i2c_core" "snd_timer" "output" "e1000e" "snd" "soundcore" "snd_page_alloc" "sg" "loop" "ipv6" "kvm" "freq_table" "processor" "thermal_sys" "hwmon" "ext4" "mbcache" "jbd2" "crc16" "raid456" "async_pq" "async_xor" "xor" "async_memcpy" "async_raid6_recov" "raid6_pq" "async_tx" "md_mod" "sd_mod" "crc_t10dif" "sata_sil" "ata_piix" "dm_mod" "usb_storage" "usb_libusual" "usbhid" "hid" "ohci1394" "ieee1394" "ahci" "libata" "scsi_mod" "ehci_hcd" "uhci_hcd" "usbcore" "nls_base" "scsi_wait_scan" "unix"
# Use grub 2 as boot loader. hostName = "nix9000"; # Define your hostname. 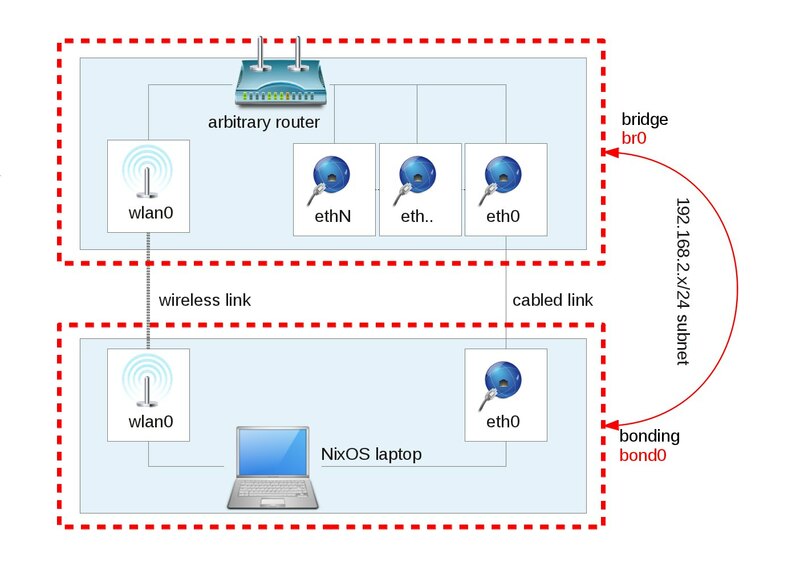 # wireless.enable = true; # Enables Wireless. # adding the noauto option. # Copy & Paste & Uncomment & Modify to add any other file system. # fsType = "ext3"; # the type of the partition. # List swap partitions that are mounted at boot time. # Add an OpenSSH daemon. # Add CUPS to print documents.